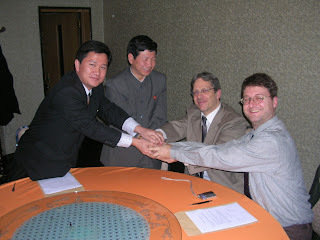 Nosotek is known for developing computer games for various platforms, such as iPhone, j2me and Wii; including Pyongyang Racer, a browser-based racing video game developed in 2012, to promote tourism to North Korea. So what Wii game or games originated from North Korea? Down the rabbit hole we went to figure this one out. North Korea is also making computer games (including Facebook games, Wii, Blackberry, iPhone and iPad games) for foreign clients such as Dutch companies. The part that stands out is the mention of "Dutch companies" which then circles back to Nosotek. The two foreign investors involved as per the linked Wikipedia article are Felix Abt and Volker Eloesser. Abt is a Swiss national whose background is in investment in North Korea, but Eloesser (a Dutch national) is actually directly involved in the video game industry. Eloesser's MobyGames profile seems to indicate involvement going back into the 1980s. However, when you look at the list of games, there are no Wii games mentioned and the most recent entry was from 2007 for a J2ME game. We know that it is very likely he was involved as Nosotek's Internet Archive page made mention of him being president of the organisation. We also know based on the same archive that it made mention that it was involved in Wii development! 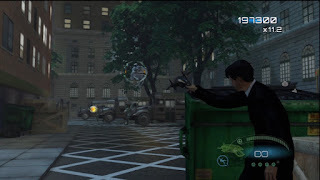 I eventually dug up another article that laid claim to a Men in Black game having been developed by the Nosotek team. And what are the games in question? Games based on the Men in Black movies and a bowling game based on the Big Lebowski, both of which are over a decade old. However, some re-reading of the article and Misty's digging lead to the suggestion that it was mobile ports and not anything released for a home console. 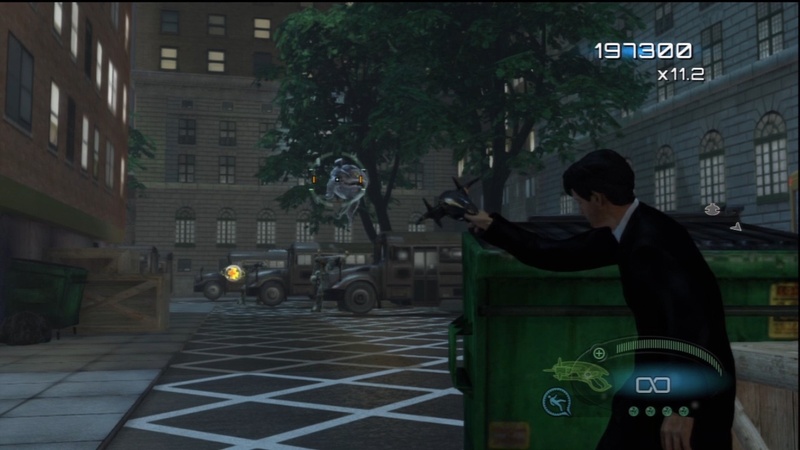 There was a Men in Black game released in 2012 that may fit with the whole timeline, but it was developed by another developer--Fun Labs, based in Romania and is a subsidiary of Activision. It's possible it may be the subsidiary outsourcing aspects of development to another party, but we do have some further evidence to say that it's not the case. The red device you see on the left is a Wii RVT-H development kit, which is rather different than your typical Wii as it has an internal hard drive! The timestamp on the photo is also important to keep in mind here. The black box on the bottom left is a Wii NDEV kit--also strangely in a seemingly different office. One thing we overlooked in our tweet thread were two 3D models. These models are way too detailed to be meant for a mobile game at the time. 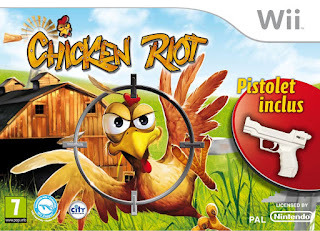 So what Wii games involved a chicken in 2009? Well, none, but one did in 2010 and its box art strikes a really stark resemblance to the 3D model we've just seen. The thing that is interesting here is that City Interactive and Nosotek have no obvious connection. However, CI claims that it developed the game, so did they contract it out to Nosotek? 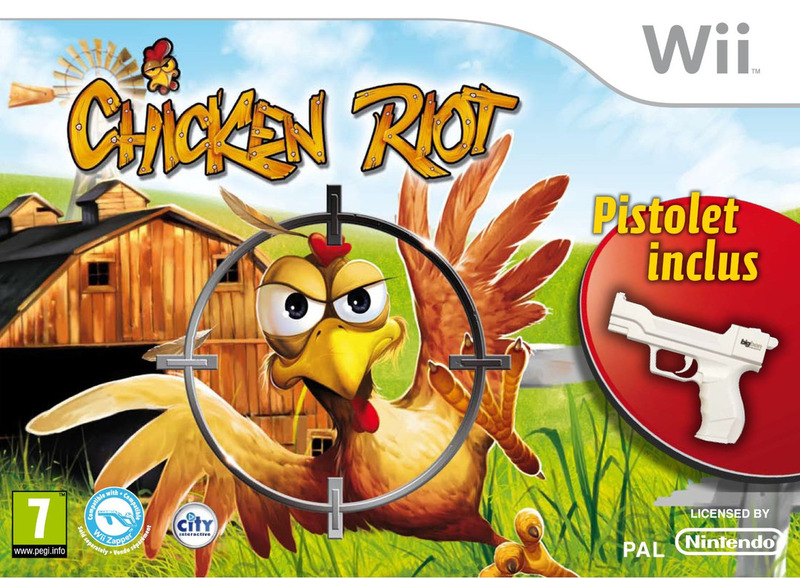 We have no concrete evidence to say that this Chicken Riot game is using the same models as the promo video, but the comparison is way too much of a coincidence. Nosotek has quietly churned out various popular games, including one “very big” role-playing game for the Nintendo Wii. So what is this "very big" RPG? Unfortunately this is where the rabbit hole runs out. 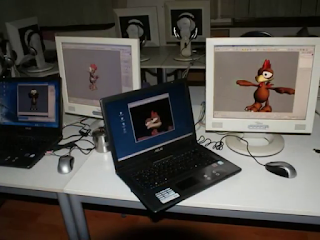 What I did notice is that the trailer for Chicken Riot shows a game that is seemingly different from what is being shown on that display connected to the red development kit, but because we're dealing with a low-resolution promotional video and basically an obscured HUD on the TV, it's difficult to say what it really is. If someone can figure this out, please do let me know!